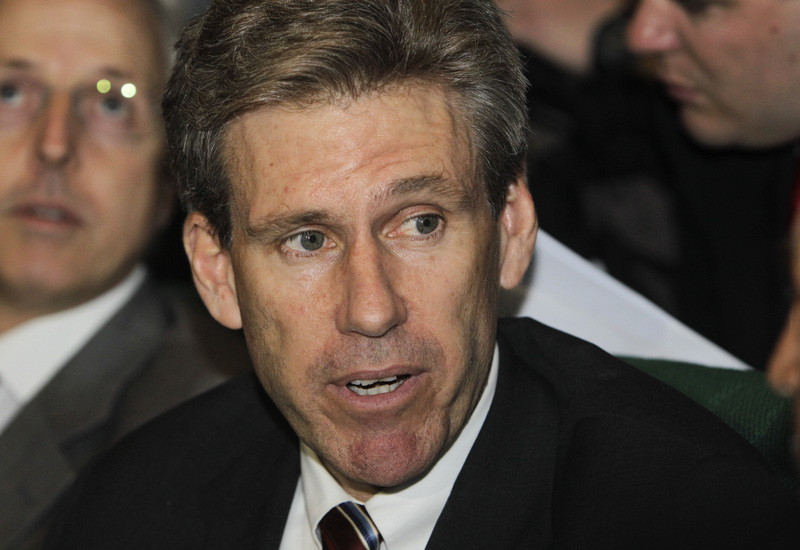 Ambassador warned Libya was "volatile and violent"
U.S. Ambassador Christopher Stevens warned the State Department of "unpredictable, volatile and violent" security conditions in Libya a month before the deadly assault that killed him and three other Americans, according to cables congressional Republicans sent the White House Friday. The cables were included among 166 documents and a letter House Oversight Committee Chairman Darrell Issa, R-Calif., and Utah Republican Rep. Jason Chaffetz sent President Obama asking for more information about the attack on the U.S. Consulate in Benghazi on the 11th anniversary of the Sept. 11 terror attacks. "The security condition in Libya remains unpredictable, volatile, and violent," Stevens wrote in an Aug. 2 cable. Obama to Stewart: Benghazi response "not optimal"
Stevens sent the cable to request an additional 11 bodyguards at the U.S. Embassy in the Libyan capital of Tripoli. In a July 9 cable, he noted that conditions in the country hadn't met "benchmarks" to reduce American security personnel. "Host nation security support is lacking and cannot be depended on to provide a safe and secure environment for the diplomatic mission of outreach," Stevens wrote in the Aug. 2 cable. The Obama administration has come under criticism from Republicans that the consulate wasn't provided with enough security, an assertion backed by security officials who testified on Capitol Hill earlier this month that they asked for more protection at the site. A June 25 cable noted that, according to local contacts, "Islamic extremism" appeared to be on the rise in the eastern region of Libya, which includes Benghazi, and that al Qaeda's flag "has been spotted several times flying over government buildings and training facilities." On the day of the attack at the consulate, Stevens sent a cable reporting that senior Interior Ministry officials had recently ended a "state of maximum alert" in Benghazi. The alert was raised to address fears of potential strikes by loyalists of Muammar Qaddafi for the Sept. 1 anniversary of his rise to power in 1969. An Aug. 20 cable signed by another official showed that conditions in Benghazi were unsafe outside of the threats posed by the Qaddafi anniversary. The cable reported an incident involving a women's rights activist briefly detained by a militia. "For the first time since the revolution, I am scared," the activist told consulate staff, according to the cable. "How can we be the commercial capital if we can't keep our streets safe?" Senators John McCain (R-Ariz.) and Lindsey Graham (R-S.C.), two of the congressmen who have been vocal in their critique of the Obama administration's handling of the situation, also called the U.S. military's response during the attack to be "inadequate." In a statement released Friday, they said they were told by Department of Defense officials that a surveillance drone was repositioned and a reconnaissance aircraft was sent, but there were no land forces available "on a day of heightened concern for American interests" and no effort to use fighter aircraft.